Norman Quentin Cook (born Quentin Leo Cook on 31 July 1963 in Bromley, England), also known by his stage name Fatboy Slim, is a British DJ, electronic dance music musician, and record producer. He is a pioneer of the big beat genre that achieved mainstream popularity in the 1990s. Cook has achieved considerable success in the UK charts, performing as Fatboy Slim and with The Housemartins, Beats International, and Freak Power. 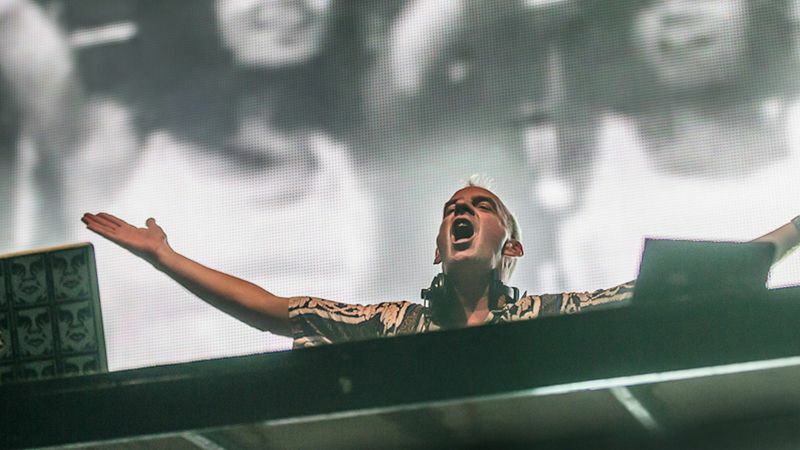 As Fatboy Slim, he has won ten MTV Video Music Awards and two Brit Awards, and his best known tracks include "Weapon of Choice", "Praise You", "The Rockafeller Skank" and "Right Here Right Now". He currently performs as the Brighton Port Authority.